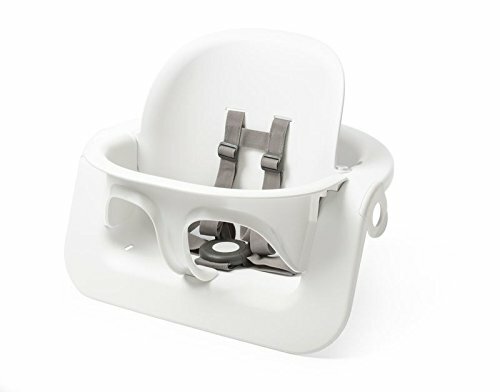 With the simple addition of Stoke Steps Baby Set, the Stoke Steps Chair transforms into a highchair which can be used from about 6 months. Safe and secure, the ergonomically designed Baby Set ensures that your baby is seated correctly. The back plate is adjustable in both height and depth to ensure a perfect custom fit as your child grows. The Stoke Steps Baby Set mounts easily onto the Stoke Steps Chair, tool-free.